A tribal experience. 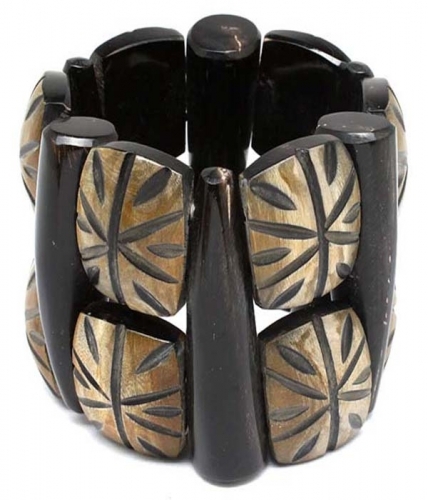 The Lizzie bangle bracelet mixes an earthy palette of etched slate and horn beads on a comfortable stretch. Take your look du jour on safari. If it's high quality, cheap jewellery you're after you found it. Grab your bargain today!